Lifeline's fitness gears are well acknowledged among the Indian masses for its innovative technology and durability. With high power system, multiple displays, forward and reverse motion, 20 inch stride capacity, colorful back lit monitor and 4 user memory, this bike is difficult to ignore. The new elliptical electromagnetic bike from Lifeline offers all exciting features which is essential for rigorous training. The bike offers both forward and reverse motion with comfortable slip resistant pedals which makes the user try different positions while sprinting. Although this bike weighs 140 kilograms, it can easily accommodate users up to the weight of 195 kilograms. With its self generating high power system, this bike offers adequate tension, torque and consistent resistance. 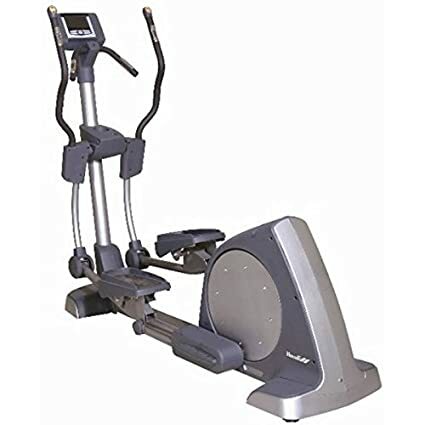 To Recieve updates and possible rewards for Lifeline Generator Elliptical Trainer 9.0EL please sign in. To Recieve updates and possible rewards for Cross Trainer/Elliptical please sign in.